Even the menacing and grim visuals of “Badlands” couldn’t keep viewers away as ¡MAYDAY!’s latest music video has officially climbed to over 160K views! The Tech N9ne assisted music video is the second official single from ¡MAYDAY!’s Strange Music debut, Take Me To Your Leader. 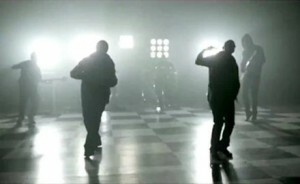 The frantic and electrifying music video proved to be a hit thanks to its surprise ending. Following the video’s world premiere this past week, fans all over the web began buzzing as news of a brand new ¡MAYDAY! offering spread. With Take Me To Your Leader ready to take fans inside the world of ¡MAYDAY!, it’s clear that the Miami group is in position for a musical uprising. go to Best Buy and get Tech N9ne’s KLUSTERFUK included within Take Me To Your Leader! What did you think of “Badlands”?